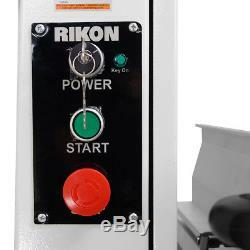 RIKON 10-353 220-Volt 14-Inch 3.0-Hp Heavy Duty Cast Iron Professional Bandsaw. 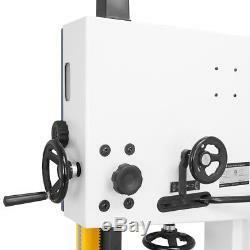 Rikon has outdone themselves with the 14-Inch Professional Bandsaw. 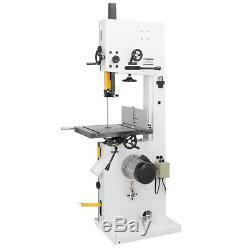 It has everything you could want in a serious bandsaw - large table, robust fence, huge 14-Inch resaw capacity, built-in LED light, foot brake, blade guides that adjust without tools, and a powerful motor. Its steel frame features a a V-Wedge column design for maximum strength under high blade tension, reducing column deflection. 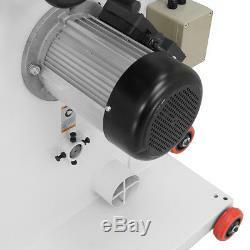 The 10-353 comes with a 3 HP 220V motor. 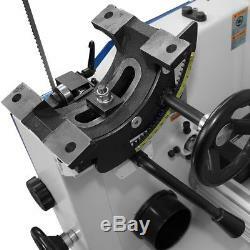 Rack and Pinion blade guide height and table angle adjustments. Large 21-1/2-Inch x 15-3/4-Inch table with dual miter slots. Foot brake with power-off function. 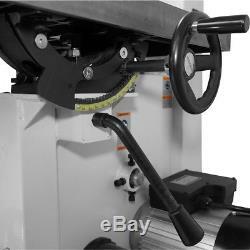 Quick release lever that operates from front or rear of the saw. Toolless upper and lower blade guide bearing adjustments. 6-Inch tall fence with drift adjustment. What's in The Box. 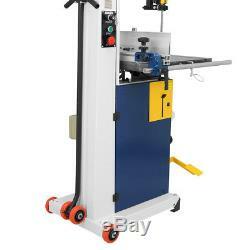 220-Volt 14-Inch 3-Hp Heavy Duty Professional Bandsaw - 10-353. Table Hight from Floor (in). 74-1/2 x 28-1/2 x 33-1/2. SECURE & HASSLE FREE SHOPPING. All our sales are backed by a 30-Day Satisfaction Guarantee. Products shown as available are normally stocked but inventory levels cannot be guaranteed. 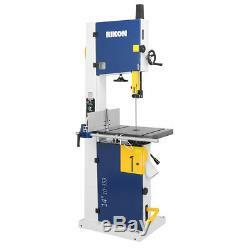 The item "RIKON 10-353 220-Volt 14-Inch 3.0-Hp Heavy Duty Cast Iron Professional Bandsaw" is in sale since Wednesday, April 5, 2017. 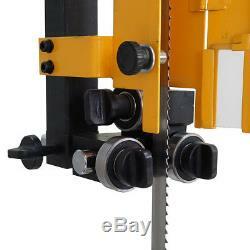 This item is in the category "Business & Industrial\CNC, Metalworking & Manufacturing\Woodworking Tools & Supplies\Equipment & Machinery\Saws".